The statistic depicts a ranking of Football Club Kit Suppliers, ranked by annual value of sponsorship. 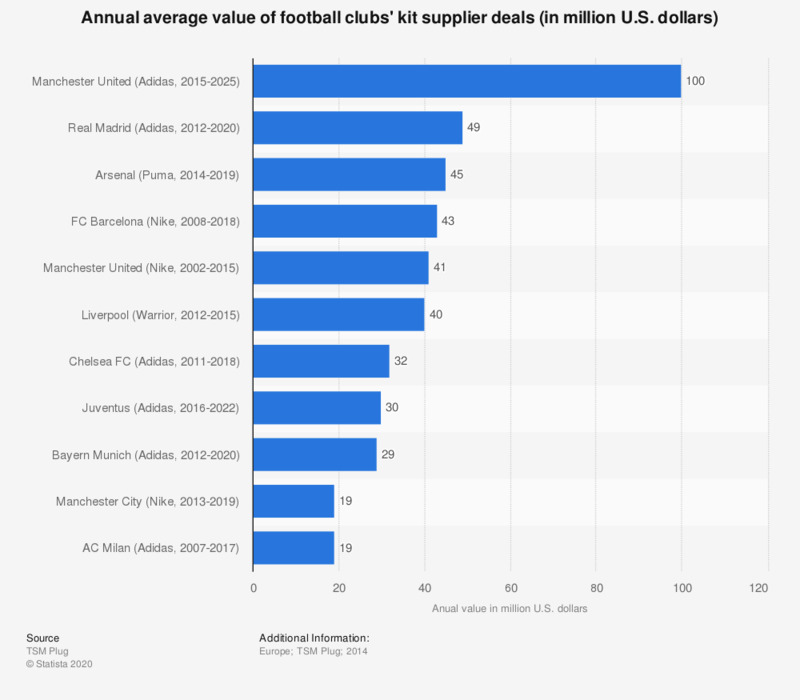 The list is topped by Manchester United's new deal with Adidas, which features an annual sponsorship of 100 million U.S. dollars from 2015 to 2025. * Some clubs appear more than once according to their old and new contract values.